A standout playoff performance from a former MVP in a do-or-die game isn’t exactly outside of the realm of normalcy—but it is if that player only has one knee at full strength. This doesn’t even touch all of the plays where she was involved in physical picks, which allowed her teammates to go get theirs (Kristi Tolliver had 22 points, 7 assists and 2 rebounds herself). Her efforts helped give the Mystics a decisive 97-76 victory which not only forced a Game 5, but also set a franchise record for team points in a single postseason game. Washington still needs to get one more win to advance to the team’s first-ever WNBA Finals appearance. 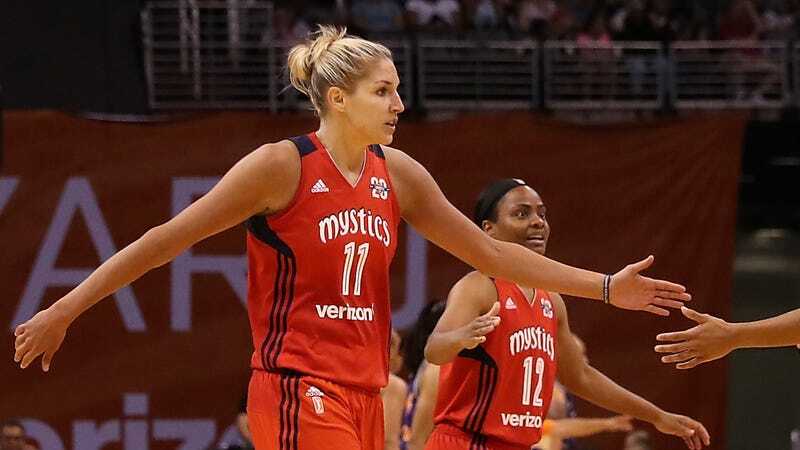 The further Delle Donne and the Mystics go from here, the more this performance will become the stuff of sports legend.